Today we decided at the spur of the moment to go to Koh Samet. It’s an easy island to get to without too much hassle, only 3.5 hours east of Bangkok. As we haven’t been before it’s a great chance to explore somewhere new, not to mention check it out for when our family comes in December. We are staying on Ao Phutsa (also known as Tub Tim) at Pudsa Bungalows. 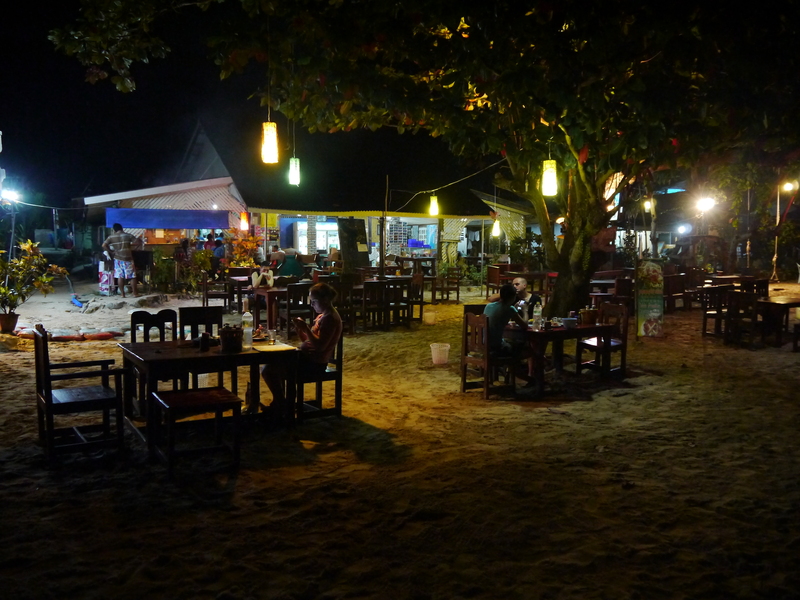 It’s a great location on a quieter beach but only a hop, skip and a jump to the more livelier beach, Ao Pai. Kristal writing this post from the beach side restuarant. 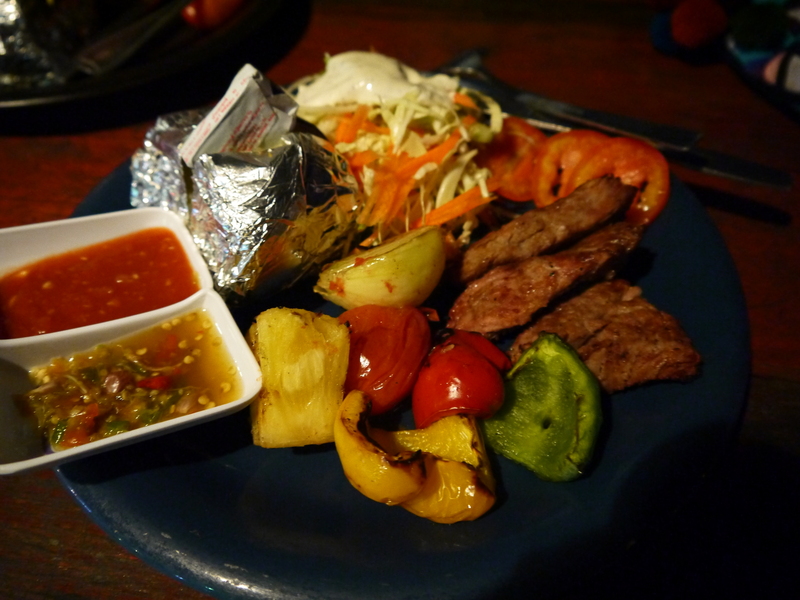 Although being on an island there isn’t quite the same range of thai food and the prices are a bit higher, there’s a great range of western style bbq places cooking along the beach. Delicious barbecue beef with potato and salad. Surprisingly very good beef, for Nic who is always on the look out for decent, reasonably priced beef this was a welcome treat. 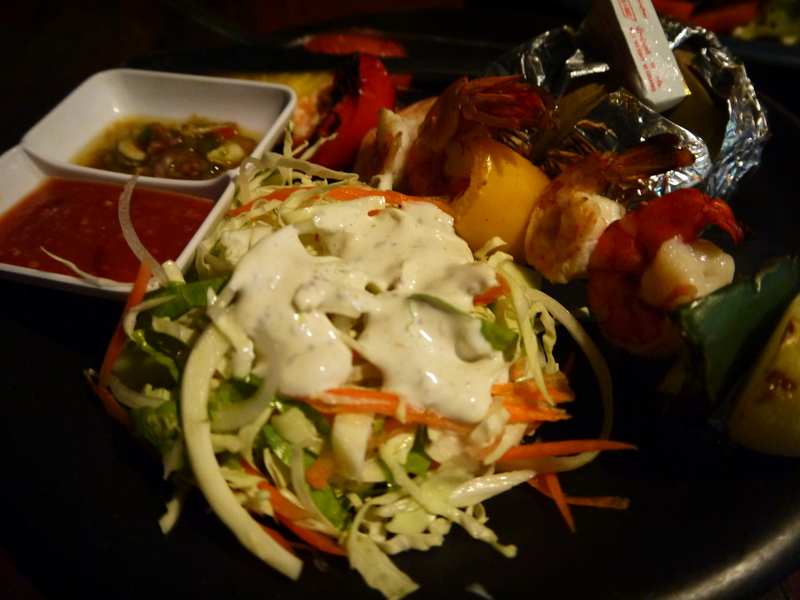 The prawns, not as good as the beef but still yummy! Josh here from the BlinkPacking blog. This looks incredible. I do Foodie Fridays over at my blog, which is how I found you. I wish you all the best with your travels and your blogging. Cheers!